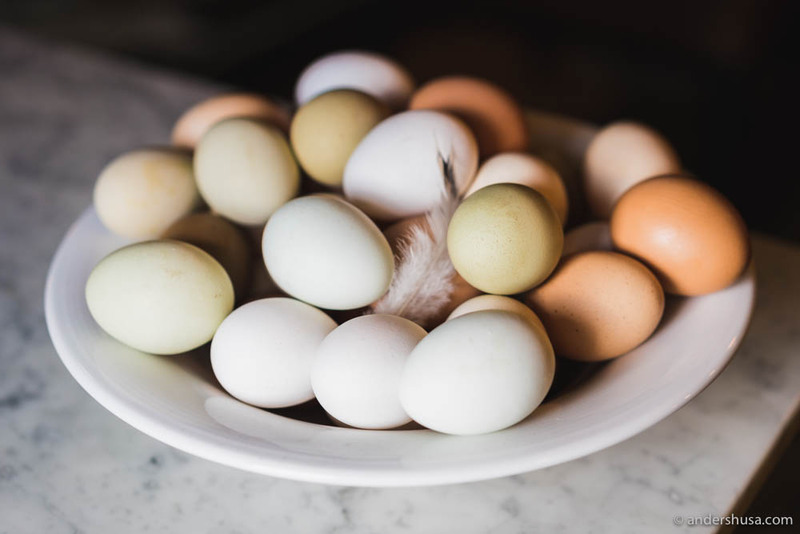 Once a year, the wholesaler Augusta Arnesen invites industry professionals to a food feast unlike any other. 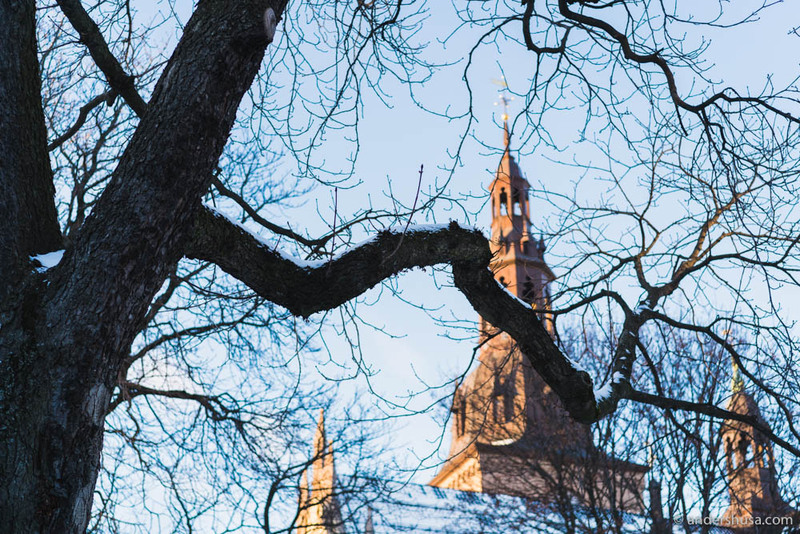 The event is always hosted at the venue of one of their clients, which consists of the top one hundred restaurants in Oslo, and the guest list features all the best chefs in the city. Obviously, the host restaurant decides what to cook, but there’s one ingredient that has to be used each time – truffle. This year, one kilo of white Alba truffle and half a kilo of black Périgord winter truffle was delivered by Augusta Arnesen to restaurant Baltazar with clear instructions to shave it all and leave no flake behind! 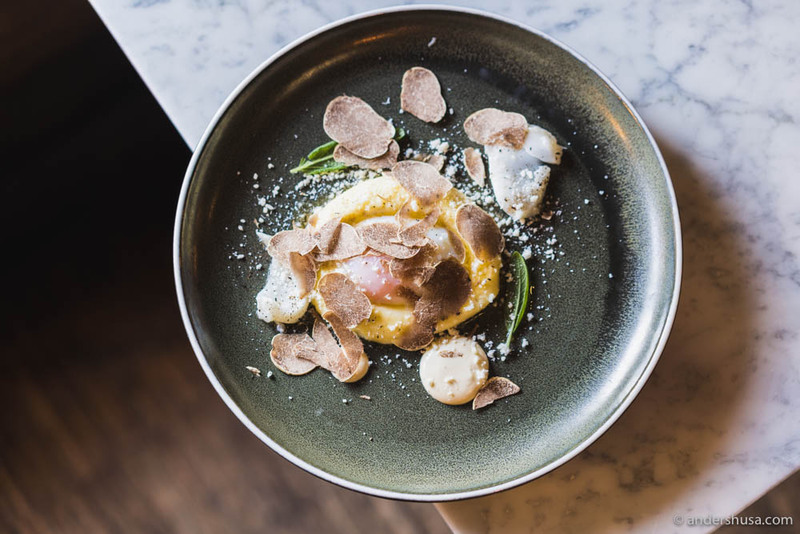 – The white Alba truffle is one of my absolute favorite ingredients, says Dag Tjersland, chef and owner of Restaurant Baltazar in Oslo. He opened his Italian eatery back in 1997, at the age of only 24, with money he had saved up himself. Today, it is one of the longest living, high-quality Italian restaurants in Oslo, and the kitchen and wait staff consists mostly of Italians. The pizza, pasta, and focaccia are all freshly made in-house. 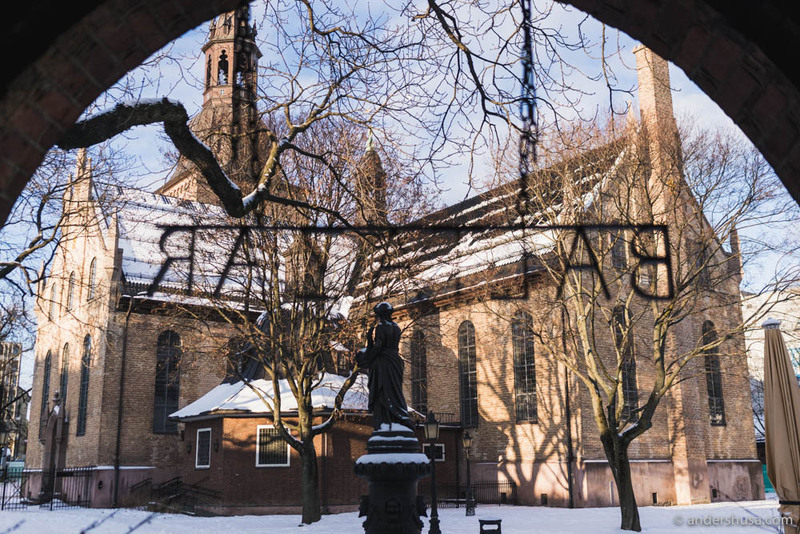 In the summertime, Baltazar has one of the best outdoor seatings in the city, in the courtyard of Oslo Cathedral. It’s like a hidden oasis, smack in the center of town, where you can escape all the hustle and bustle of the big city. I’ve taken my parents here countless times when they come to visit me. Tjersland also runs the popular Skur 33 down by the docks, where the main focus is pizza. 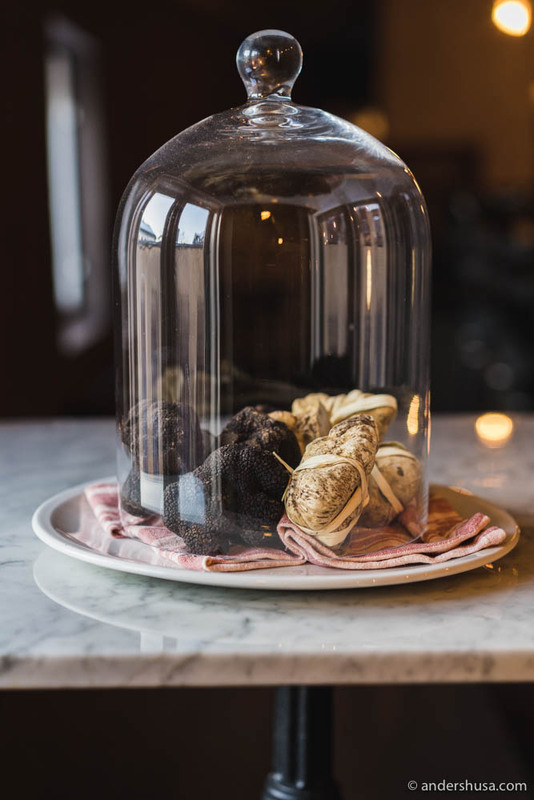 – We’ve made it a tradition here to have truffle on the menu from early October to late December. This was mid-January, so the batch Tjersland had just received of white Alba truffle was probably the last he would see this season. 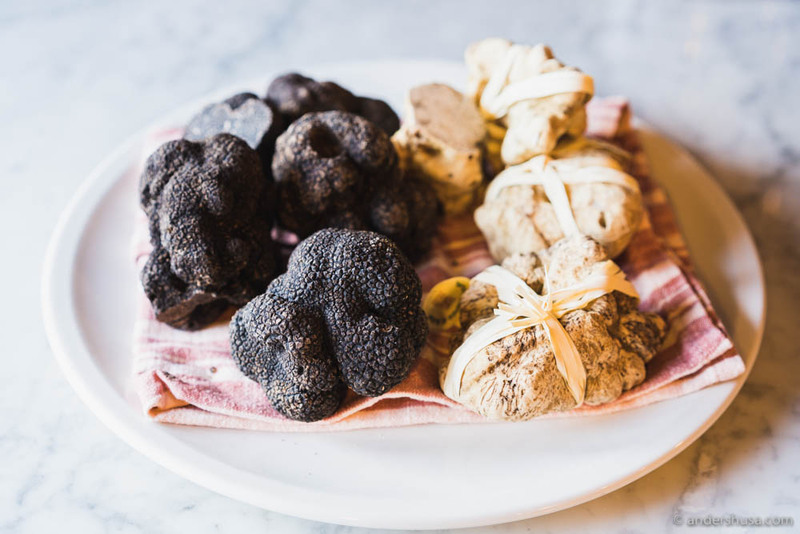 Black winter truffle from Périgord in France, however, lasts until March. In the world of cooking, there are few things more expensive and sought-after than the white Alba truffle. It can cost as much as 60.000 NOK ($7.100) per kilo if the harvest season has been bad and the supplies are limited. All the world’s best chefs want to get their hands on it, because of its unique and strong aroma. The fact that Augusta Arnesen had access to one kilo of this as late as in January, shows how good of a connection they must have with their Italian suppliers. When I posted my Instagram story from the event, I got messages from Italian chefs, based in Piedmont, who were wondering how on earth there was still white Alba truffle left on the market! If you want to read more about truffles and why they are so rare and difficult to find, check out my post from truffle hunting on Gotland in Sweden. Yellow beet tartar with black Périgord winter truffle, hazelnut mayonnaise, pistachio oil & lentil vinaigrette. The truffle feast started at 6 PM, although I had been in the kitchen with Dag Tjersland from early morning to watch him prepare the evening’s menu. In a corner, the guys from Indre Oslo Matforedling were busy operating a big red meat slicer, serving their delicious cured meats as antipasti. Statholdergaarden‘s Bent Stiansen, the culinary father of Norway, seemed curious and went over to have a taste (and so did I). Most of the chefs that make Oslo a great food city these days were in the room. Ulrik Jepsen from À L’aise, Matthias Bernwieser from Galt, Kari Innerå from BA53, Tom Victor Gausdal and Stian Floer representing the Lava Restaurant Group, Jo Bøe Klakegg from the newly-opened Hot Shop, and Stig Drageide from Theatercaféen, to name a few. 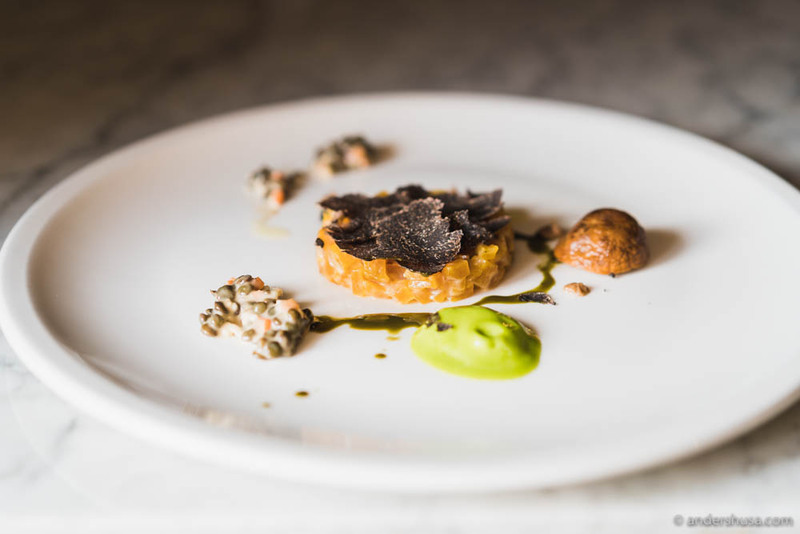 Tjersland’s first dish was a yellow beet tartar topped with black Périgord winter truffle. The beets were from a small farm in Drøbak outside Oslo. On the plate was also a lentil vinaigrette, mayonnaise on hazelnuts from Dogliani in Piedmont, and oil from pistachios grown in Bronte in Sicily. Next up, a 64°C egg from Herfra gård, cooked for one and a half hours, laying on a bed of mountain almond potato purée (it literally looked like it was having a nap). Topped with plenty of brown butter that had been flavored with garlic from Nubia in Sicily. A few leaves of sage, a sprinkle of parmesan, and white Alba truffle shavings. Prego! Tortellini in brodo. 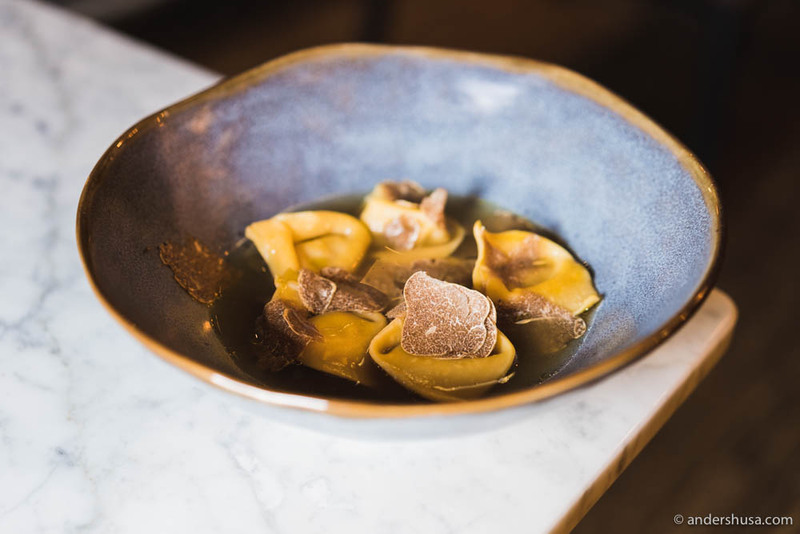 Chicken broth with tortellini filled with Bresse chicken, topped with white Alba truffle. Tortellini in brodo is a classic Italian winter dish. As the name suggests, it is tortellini pasta in a chicken broth. Baltazar used Bresse chicken both for their broth and for their tortellini filling. Once more, topped with white Alba truffle. You would think the next serving was the main course, but let me warn you, this is an Italian restaurant – when you think the meal is over, it has only just begun. Risotto, cooked like only Italian chefs can (watch the video above if you don’t believe me), with a ludicrous amount of white Alba truffle shaved on top, before it got a drizzle of olive oil. Buonissimo! The actual main course was wild boar. Shot near the border of Sweden and Norway and delivered by Augusta Arnesen. 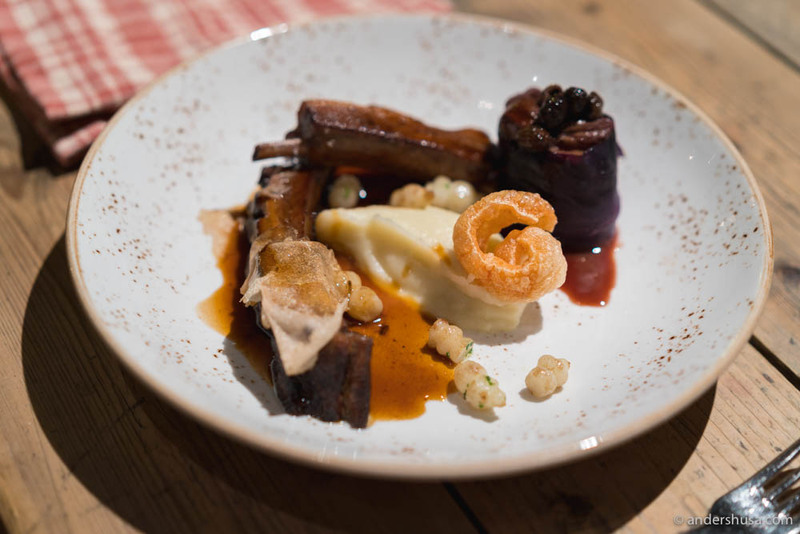 Tjersland had prepared it like a traditional Norwegian juleribbe in order to get those crispy pork cracklings. It was served with a Jerusalem artichoke mash and a sauce flavored with our friend the truffle. Now you’re probably thinking, surely there wasn’t truffle in the dessert? That’d be pretty silly, right? Well, you’re wrong. 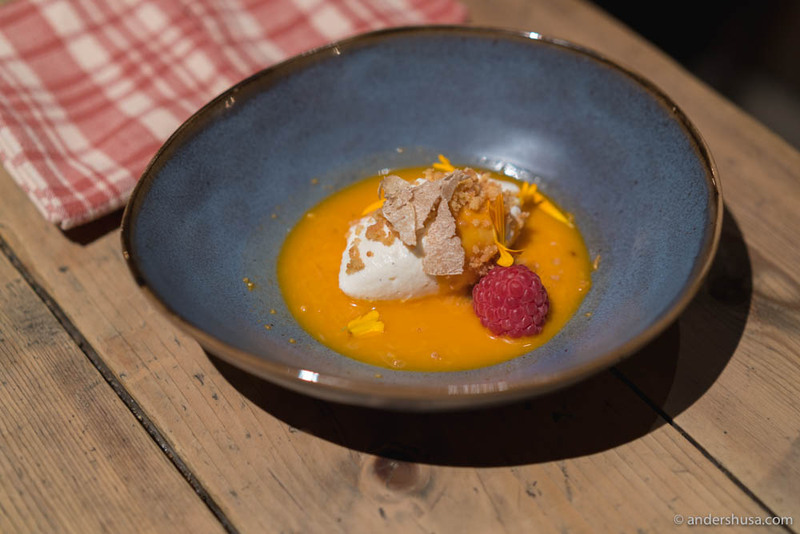 A ricotta mousse with vanilla, in a sea buckthorn sauce (my favorite Nordic berry), crumble, raspberry, and, yup, white Alba truffle. Ridiculous? Ridiculously good. Fun fact: the ricotta is from the small town of Lillesand in Norway, where Italian-born Andrea Maggioni runs Osterverkstedet – producing fresh mozzarella, burrata, and ricotta made from Norwegian milk. Risotto with white Alba truffle. Do you prefer black or white truffle? Please leave a comment below.